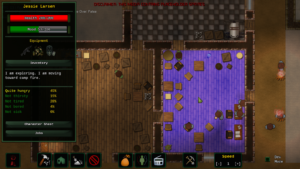 Here’s our monthly After the Collapse devlog! A lot of things happened since the last one, and even the video posted last week is, quite frankly, outdated on all fronts by now. Simply put, the development is picking up pace nicely. Let’s get over the most visible changes. It’s not final yet, but I’ve opted for transparent dark/green menus. Menus that all have been standardized so they behave the same. 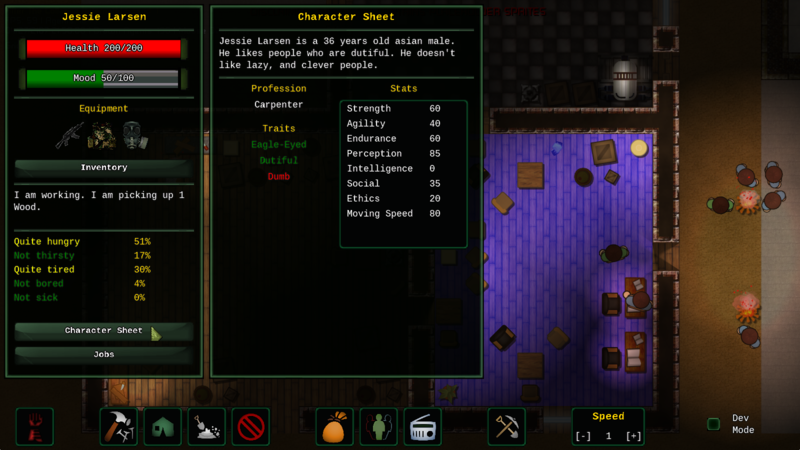 Above is pictured our good old settler info screen. 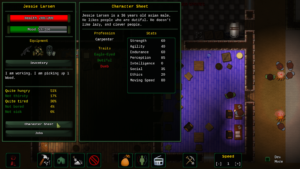 Percentage values have been added for the needs. 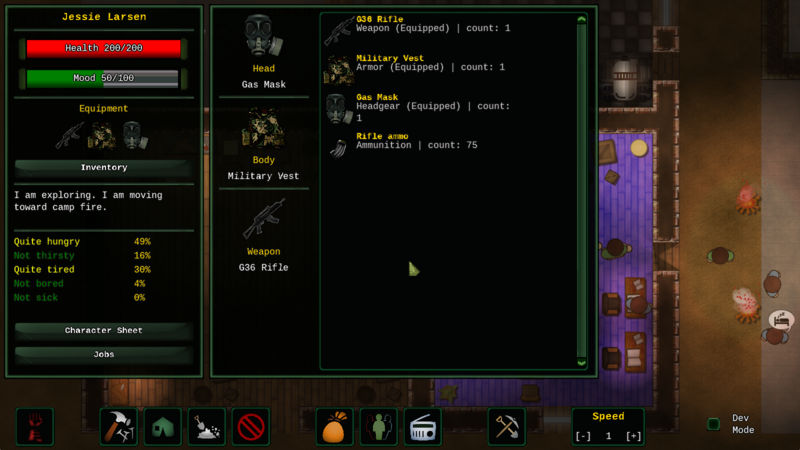 Weapon and armor information have been added too, a left click on those will allow you to change the selected survivor equipment while a right click will display related stats. Sub menus haven’t changed much, and we still need to add a mood related menu, but it should be done fairly quickly. The only part I’m not a fan of are the bottom buttons. They serve their purpose, but it’s below what i’m aiming for. Not really an urgent matter, but still. 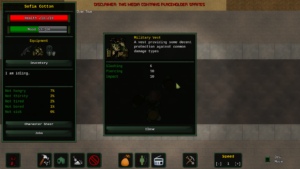 As explained in the last devlog, I implemented support for a tech tree and research in general. 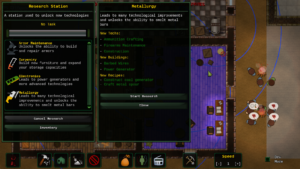 The related ‘science station’, settler skill, menu and an actual tech tree have been added. It’s not very long yet, but those are things we’ll go over during Early Access. 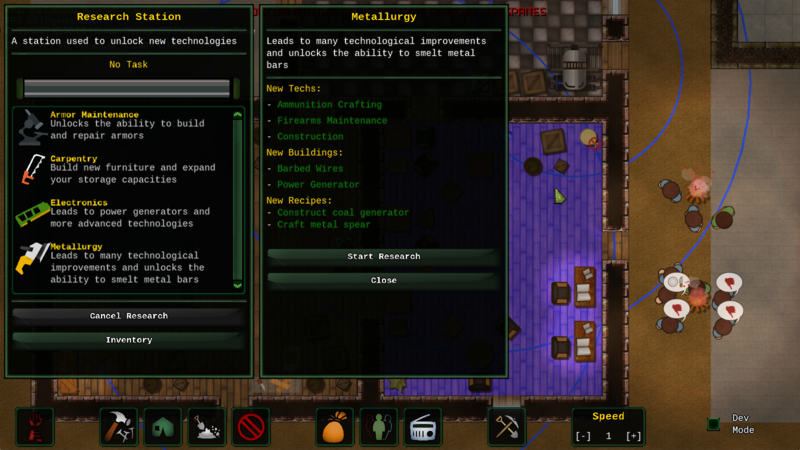 Right now, we have 11 technologies, unlocking more and more advanced buildings, recipes, and options. There’s not much to add on the matter for, it just works ™. However, if you have a good eye, you might have noticed those weird circles in the first screenshot. Well, that’s the…. It’s pretty much self explanatory. 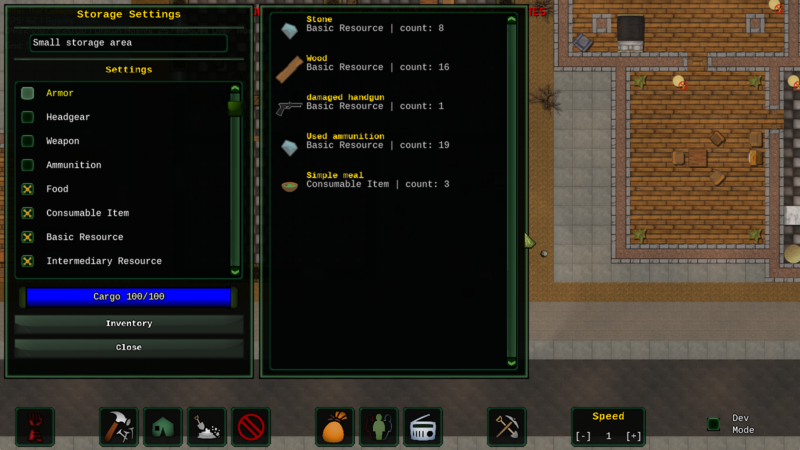 I added support for power management, production and requirements. 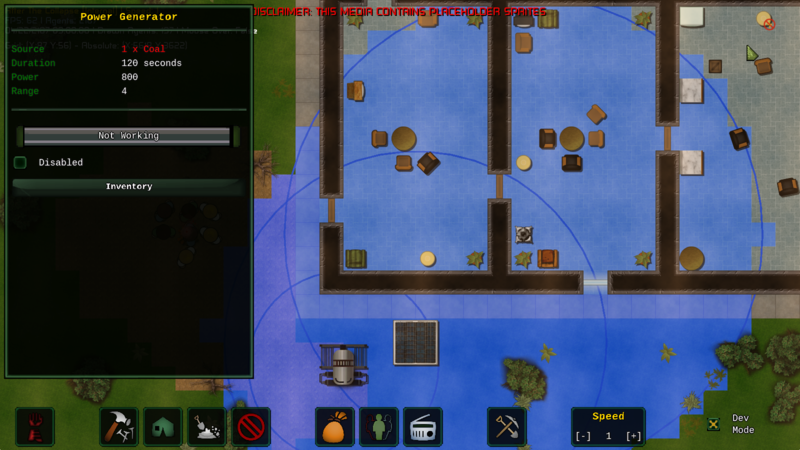 But, contrary to RimWorld, you won’t have to draw lines all over the map to do so. Instead, we’re using a system similar to Starcraft’s Protoss pylons. Simply put, you build power relays at regular intervals to extend your coverage. It’s effectively the same, but requires less micromanagement and visual pollution than drawing power lines. 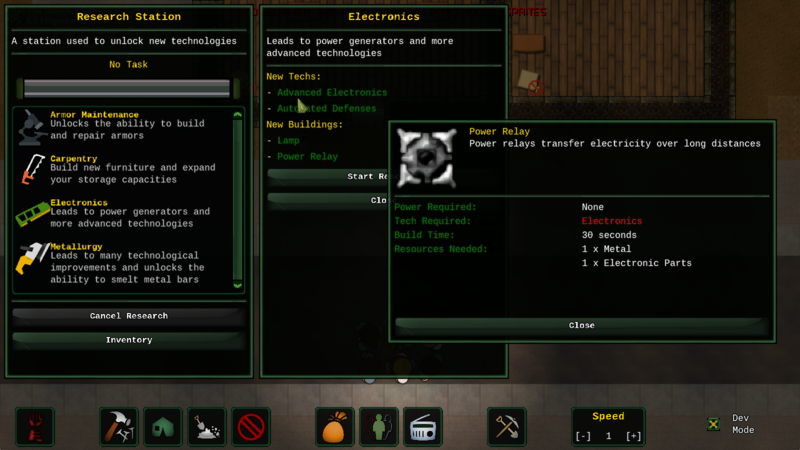 After the Collapse supports both fuel based generators and solar based ones. More advanced options being gated by research. The only ‘missing’ option is the ability to store power into batteries. Technically, it shouldn’t be a problem to implement, but it will probably be for later. 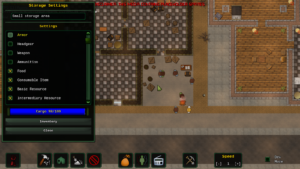 A couple devlogs ago, I explained my dislike of the storage zones we find in most, if not all, base builders. 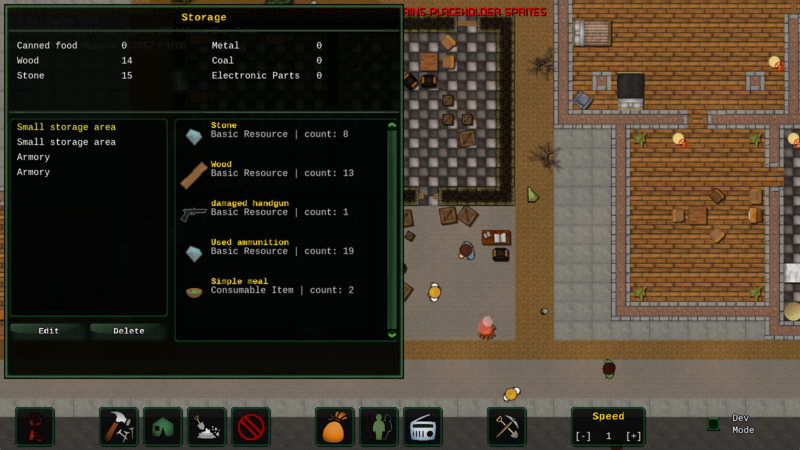 I’ve been experimenting for a while now, and I’m glad to announce that we’ll be using dedicated buildings for storage. As such, everything will be weight-based (maintaining both size and weight was pretty annoying code-wise, so that’s another plus for me). You’ll start with the ability to build very small storage zones (basically a box) and early research will allow for more, larger options, with a building cost. It’s working very well, and I’m just missing some on-screen indicator to show how full the individual storage areas are. I’ll probably add some icon or overlay for that. 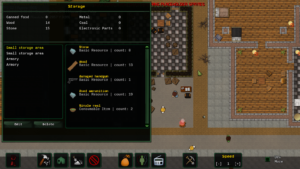 Initially, I thought about having specific storage buildings for specific item types, but it ended up not being very practical (and it would require 10 times more sprites). Instead you’ll just be allowed to setup your filters yourself. 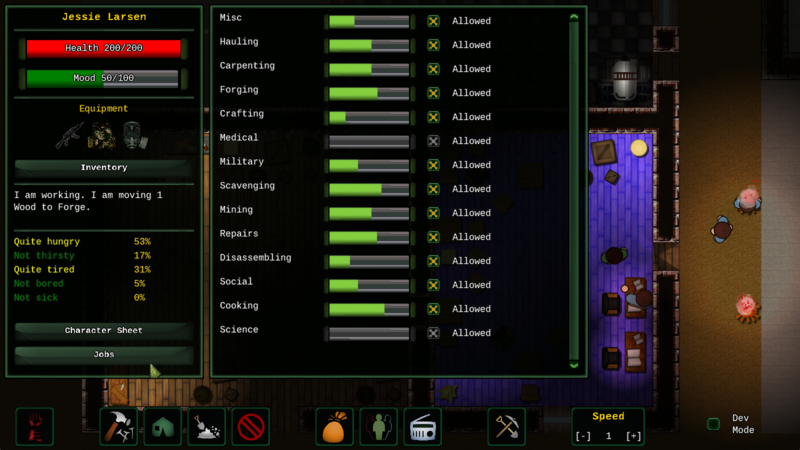 I might use that option for food when spoilage and such have been added, but that will be for much later down the line anyway. 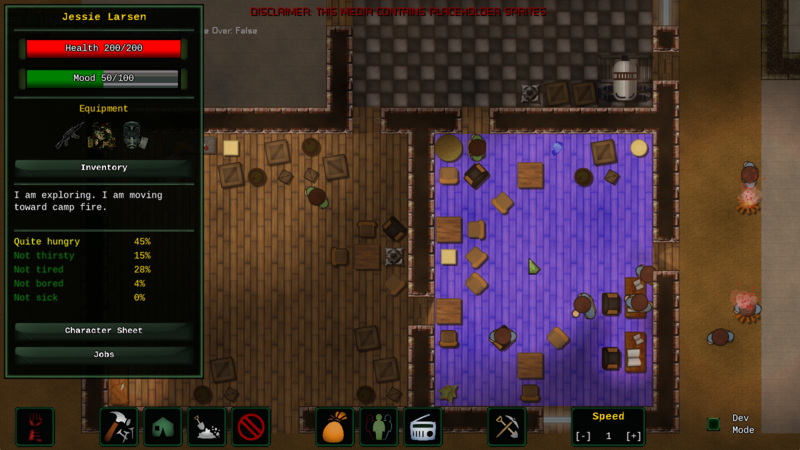 And, of course, a lot of bug fixes and small improvements left and right. 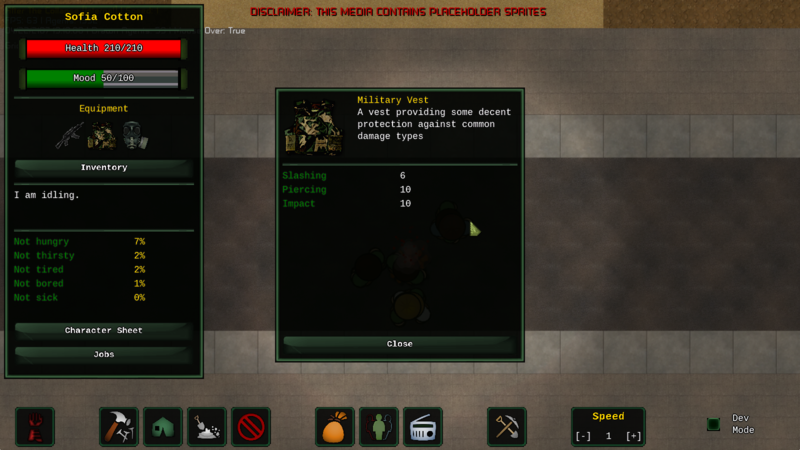 Notably, I added (draggable) info panels for items, weapons and armors as displayed below. 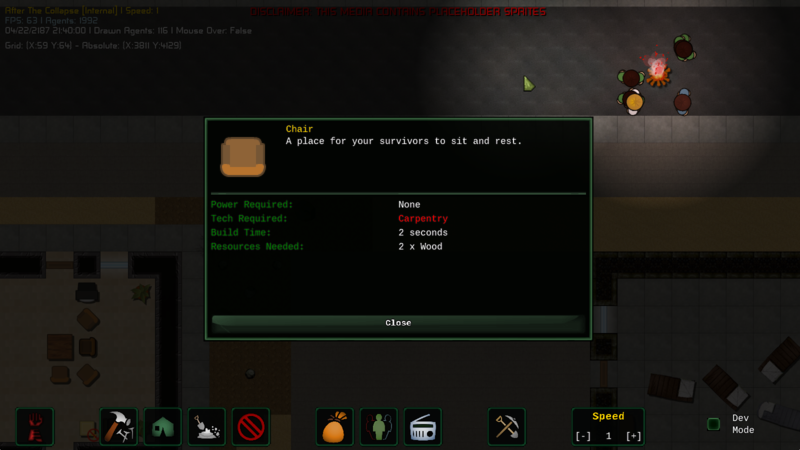 Survivors no longer try to all sleep in the same bed, or eat on the same chair, instead they will always pick a different one or wait for one to be freed. But it’s kind of crutch system until we give them a proper sense of ownership. 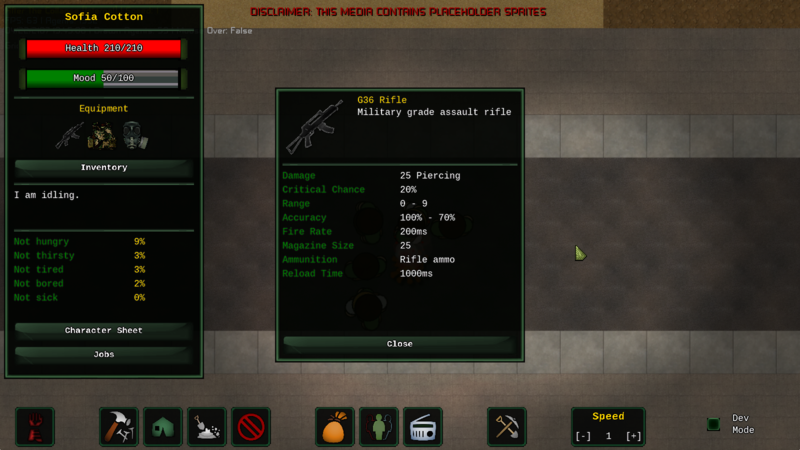 Proper sound effects for most weapon fire and reload actions have been added. Some progress has been made in the map generation department, with the ability to generate different biomes and mountain ranges, but it’s still in it’s early infancy. 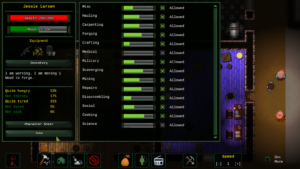 Last but not least, I am currently writing the first elements for farming, so you can expect a devlog about that next month. Well, that was quite a productive month. 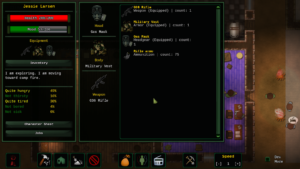 I had to put the RTS combat commands on the back-burner, but we’ll get to it. 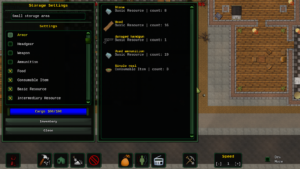 The last two major points needed for the base building side are farming (in progress) and medical. I’m not aiming for anything too fancy at the moment, the goal is to have a full system first, then and only then we’ll make another pass at each system. 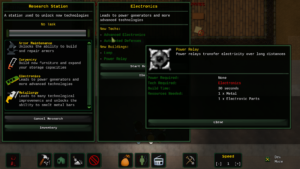 Showcasing a the power grid, research, and a few menus. 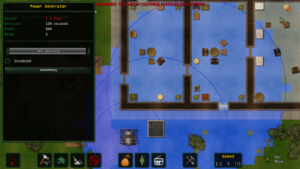 After the Collapse [devlog#7] Progress Report! 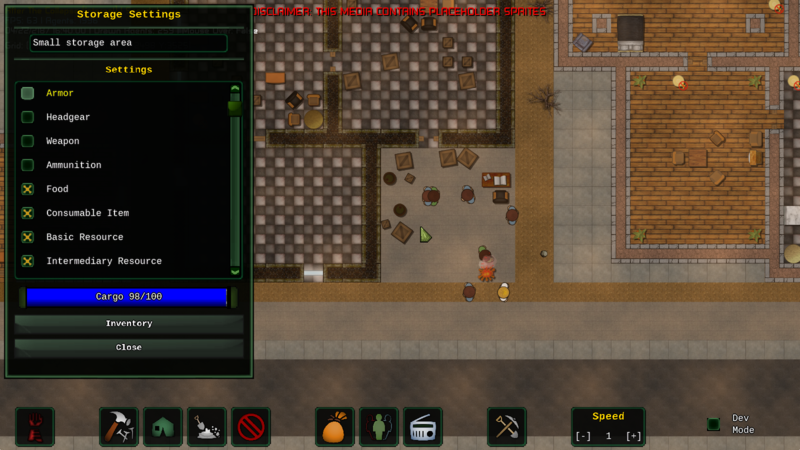 This After the Collapse devlog might sound a bit unfocused compared to the previous ones. It’s the result of me starting to glue together all the parts (detailed in the previous devlogs) together. While it is still very bare-bone, it’s definitely heading in the right direction. And by that, I mean it starts looking and playing like an actual game. As I’ve been working on making a decent looking map generator for After the Collapse over last month, this article will serve a multi-purpose goal of being a devlog, a coding tutorial for other programmers, and a modding tutorial for you guys. We’ll be talking about making good looking buildings using procedural generation and putting everything needed in a small, human-friendly text file. I’ll try to keep it simple and understandable for anyone, even without coding experience.